Situated on 45-scenic acres of rolling hills on Evansville’s northwest side, our Zoo is home to hundreds of animals from around the globe. While visiting, you will navigate the Zoo’s geographically grouped and themed regions including South America, North America, Africa, Asia, and Australia. Throughout the Zoo, thousands of exotic and regional botanic species adorn hillsides and animal exhibits. 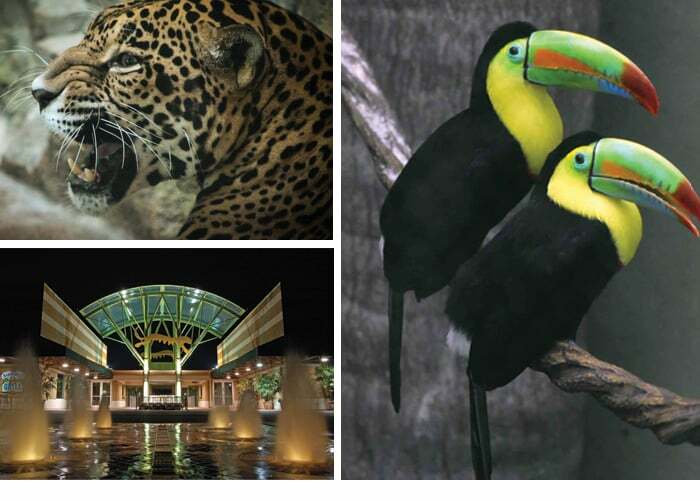 You will be in awe as you are transported to South America and explore the rainforest in Amazonia. We encourage you to take a moment to browse our website and learn more about our animal collection, educations programs, mission, and special events. Or better yet, plan an adventure to Mesker Park Zoo & Botanic Garden and experience the wonders of our natural world.